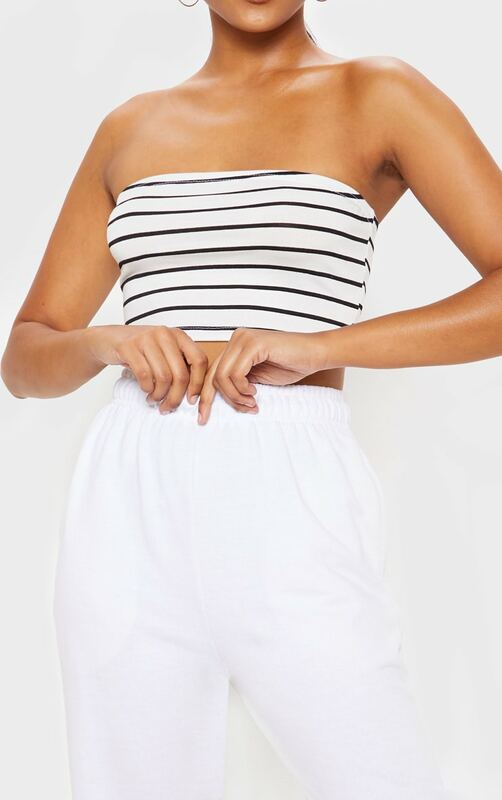 Give any off-duty outfit an update with this striped crop top. 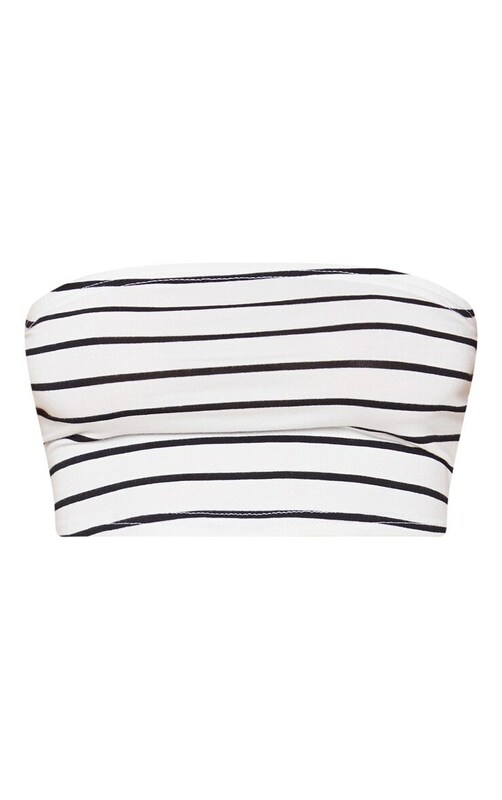 Featuring a white material with contrasting black stripes and a bandeau design, we are obsessed. Team it with some white joggers and chunky lace-up kicks for a chilled but chic vibe.